Join the food truck trend and rent our sweet truck for your next event! 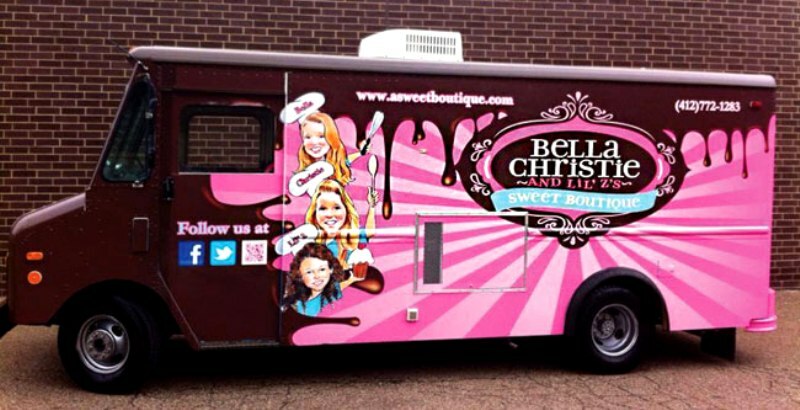 Both signature Bella Christie goods plus specialty items are served right from the truck, including cookies, lickity schticks, cupcakes, bars, and ice cream. You can choose the menu, then your guests get to pick which delectable dessert they are in the mood for! Want to “wow” your guests even more? Add one of our fabulous sweet stations to be served from the truck!